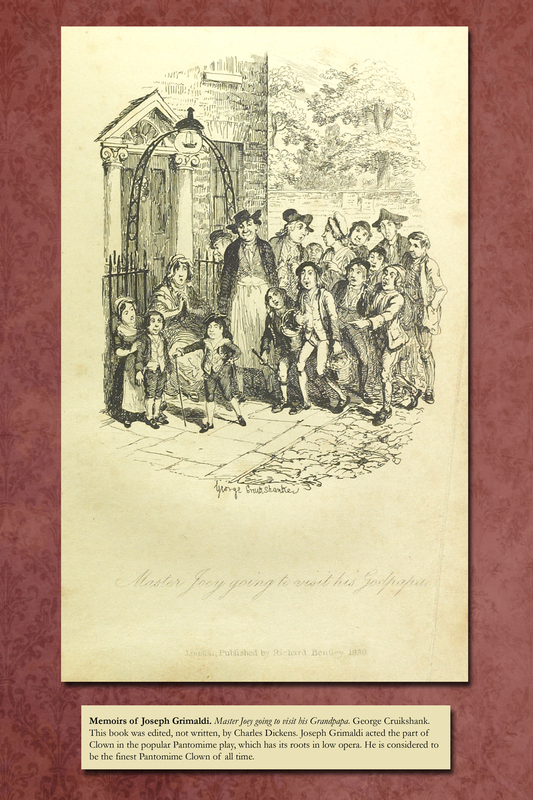 In 1835, Dickens was asked to collect his series of sketches on English life into a book to be illustrated by George Cruikshank, an established and very successful illustrator. 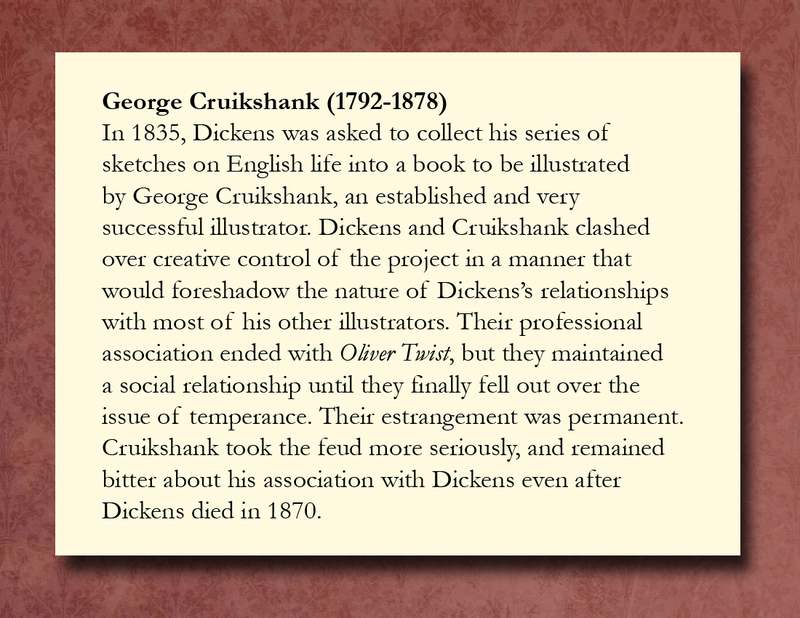 Dickens and Cruikshank clashed over creative control of the project in a manner that would foreshadow the nature of Dickens’s relationships with most of his other illustrators. Their professional association ended with Oliver Twist, but they maintained a social relationship until they finally fell out over the issue of temperance. Their estrangement was permanent. Cruikshank took the feud more seriously, and remained bitter about his association with Dickens even after Dickens died in 1870. 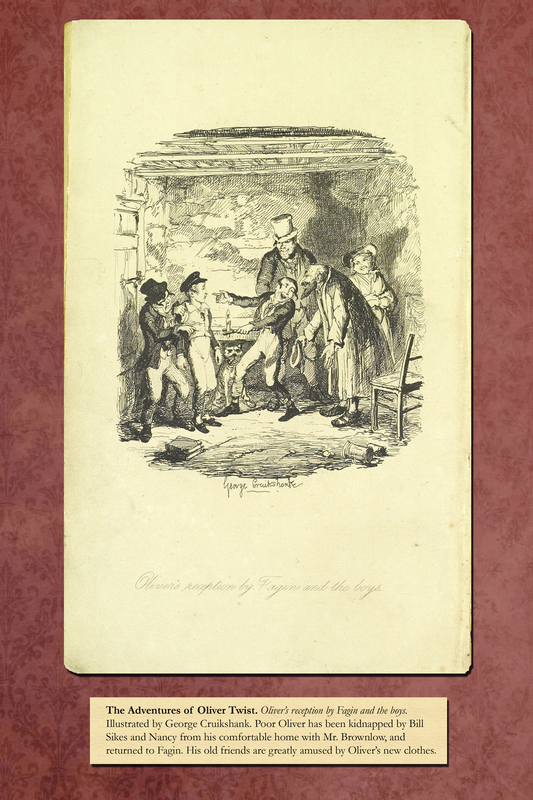 The Adventures of Oliver Twist.Oliver introduced to the respectable Old Gentleman. 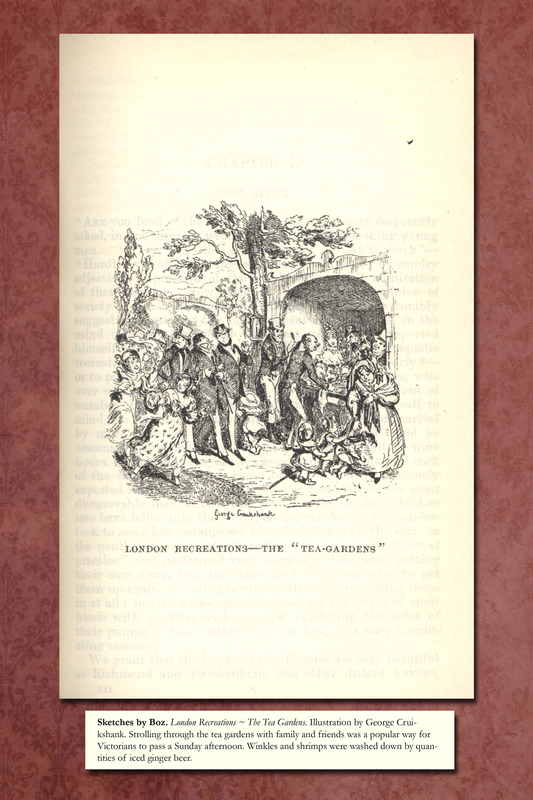 Illustrated by George Cruikshank. Oliver meets Fagin for the first time. Although Fagin is a criminal who induces young children to steal for him, it cannot be ignored that Oliver would have starved on the streets were it not for the shelter that Fagin provided. 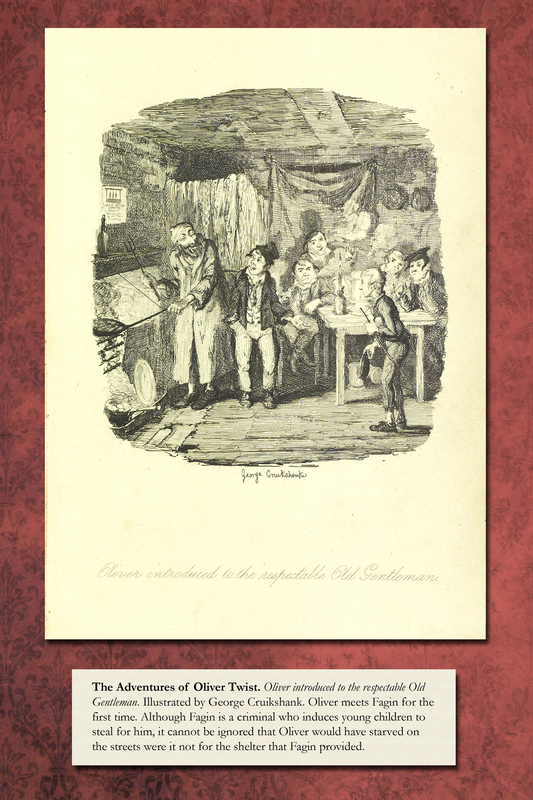 The Adventures of Oliver Twist.Oliver’s reception by Fagin and the boys.Illustrated by George Cruikshank. Poor Oliver has been kidnapped by Bill Sikes and Nancy from his comfortable home with Mr. Brownlow, and returned to Fagin. His old friends are greatly amused by Oliver’s new clothes. Memoirs of Joseph Grimaldi. Master Joey going to visit his Grandpapa. George Cruikshank. This book was edited, not written, by Charles Dickens. Joseph Grimaldi acted the part of Clown in the popular Pantomime play, which has its roots in low opera. He is considered to be the finest Pantomime Clown of all time. Sketches by Boz. London Recreations – The Tea Gardens. Illustration by George Cruikshank. Strolling through the tea gardens with family and friends was a popular way for Victorians to pass a Sunday afternoon. Winkles and shrimps were washed down by quantities of iced ginger beer.